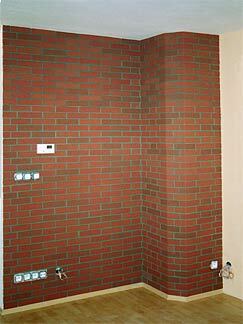 Flexi Brick Source...Simulated brick chimney chase light weight brick and mortar solutions. 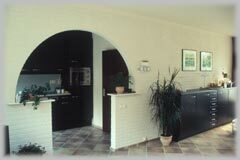 You will create a very personal ambiance in your home. 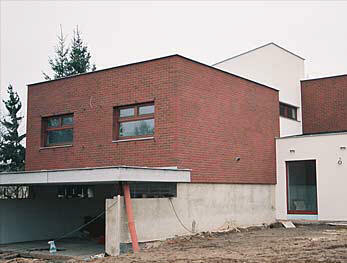 No matter whether you choose the bright white or the distinctive deep red thin brick slip, or one of the many other warm color varieties, the unique Elastolith flexible thin brick slips you are sure to turn your house into a home. 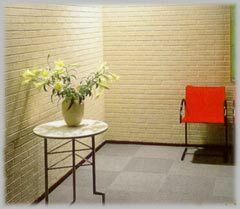 Using the flexible thin brick slips, you will quickly and easily build solid-looking partition walls, which are yet very light and easy to move. 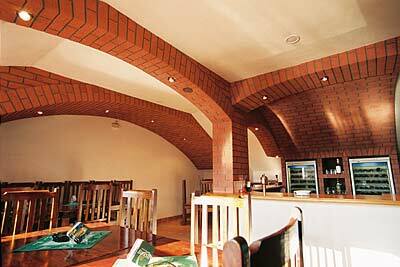 Stage designers also know about the flexible thin brick slip and it is often used for building structures on stage. 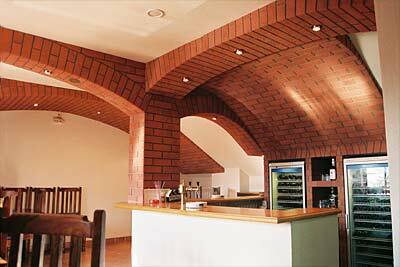 For many decades the flexible thin Flexi-Brick has also proved its worth as a high-quality outer wall finish in new developments and renovation projects. 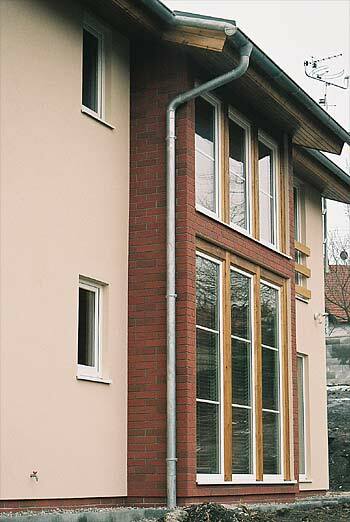 Countless commercial and residential properties, even entire neighborhoods have been fitted with the unique flexible thin Flexi-Brick! 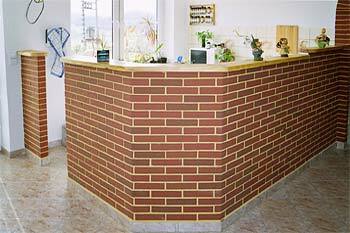 The Flexi-Brick thin brick slips are creating a harmonious brick bond that is very familiar in many countries. 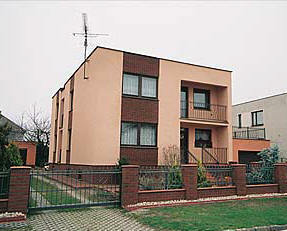 The picture to the right shows one of the possible modular structures. The horizontal joints and the vertical joints must be 3/8" wide. 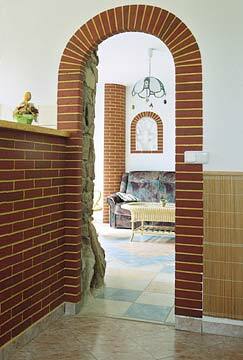 Smaller joints will need more bricks per foot. Always start on the top-side of the wall. Be sure that the rows are levelled. 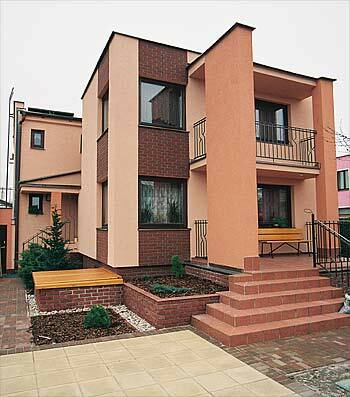 Always take the Flexi-Brick at random from different cartons to get a uniform finished appearance of the colors. Embed the Flexi-Brick firmly into the adhesive. 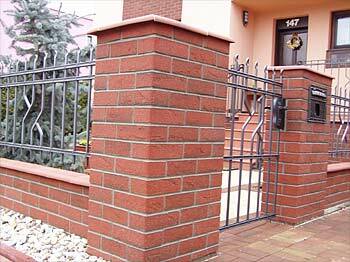 Ensure that they are offset and no moisture can get behind the already applied bricks. Small differences in color and structure are to be expected by later buys, because of the use of natural material (special sands). 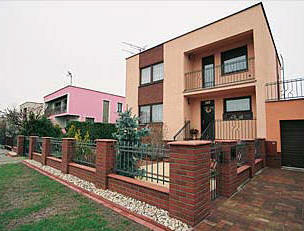 Exterior Application - After application the surface has to be protected against rain for 5-7 days minimum. 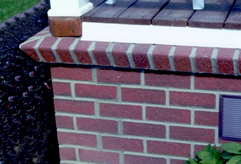 Never apply Flexi-Brick at temperatures below 40°F. 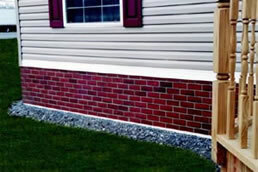 Flexi-Brick™ used in conjunction with polystyrene insulation panels gives manufactured homes the look and feel of real brick. Mounting Flexi-Brick™ on 2” polystyrene insulation panels for an R-10 insulation value reducing your heating and cooling costs. 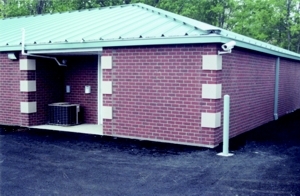 The strong Flexi-Brick™ Panels allow ground movement in temperature extremes. Automatic vents close at 400 F and open at 800 F.
Typical installations done in one day. 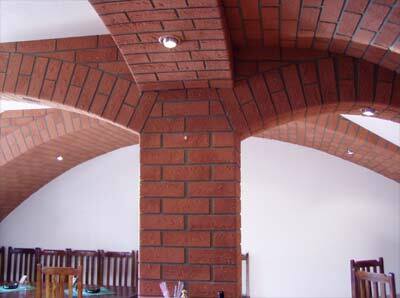 Flexi-Brick™ used for foundation surrounds. 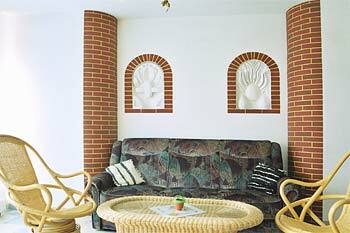 Decorative products that give the value added look, texture and curb appeal of genuine hand set brick. Each Flexi-Brick™ product is hand crafted in the U.S.A. to exacting standards for that genuine brick appearance only Flexi-Brick™ Premium can give your home. 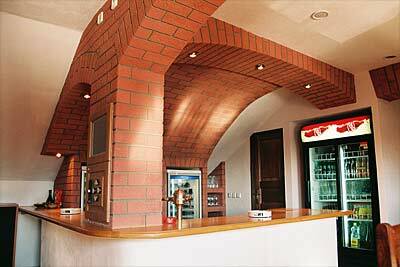 Use Flexi-Brick™ indoors or out, where ever you have a solid surface. 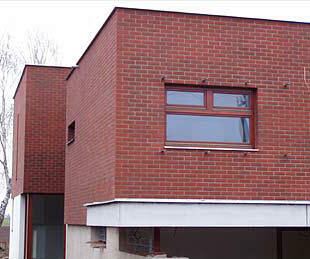 * Before applying Flexi-Brick™ we strongly recommended you pre-treat the base surface, using a primer. Use any standard water-based acrylic primer. We also recommend using mesh on joint seams to prevent cracks. 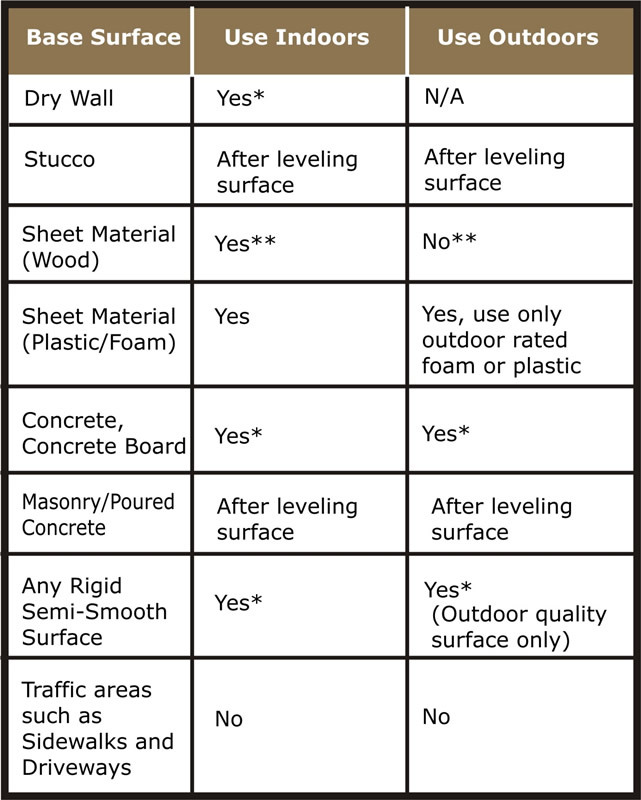 **Chip board, particle boards of any type, luan, OSB, and tounge and groove planking are unsuitable substrates to directly install Flexi-Brick™ over. These materials tend to swell, warp and delaminate when exposed to moisture. For these applications we recommend covering the wood with exterior sheet material.